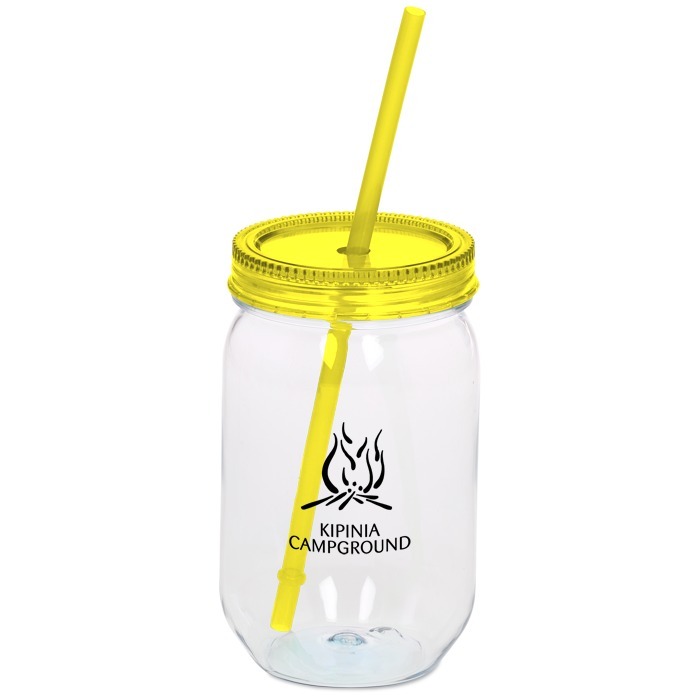 Customize these promotional mason jars in no time – 24HR! There’s something so charming and nostalgic about drinking out of a mason jar. 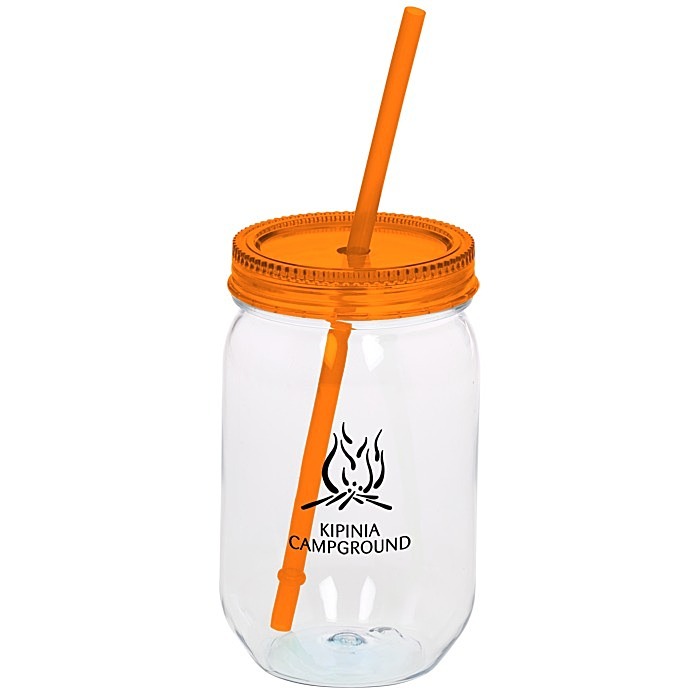 With a spicy-colored lid and straw, the old-school drinking cup gets a practical update. The lid system keeps spills and splashes at bay and also helps prevent bugs from getting inside. The BPA-free acrylic plastic (#7) can be recycled in only a few limited areas; check locally for more information. Your price includes a one-color imprint on the jar.